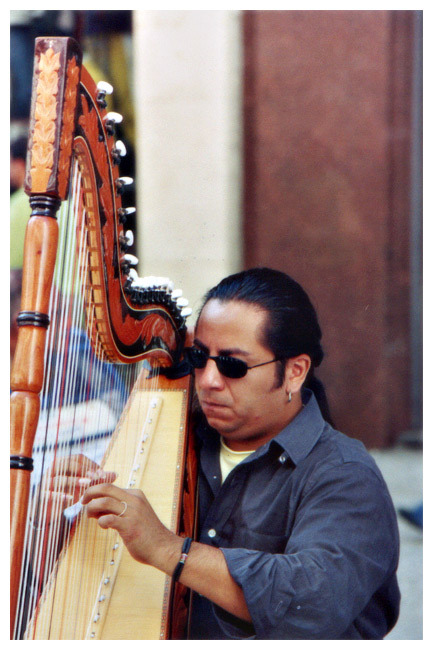 Harp player on a street in Sao Paulo, Brazil. Your wife was vending your CDs by US$ 4. A picture seen in almost all greats Metropolis. very well done. Congratulations, Adilson. Very nice street shot with good details and colors accentuated by the muted background. Very good capture, beautiful scene! Excellent framing and very good detail!